After our visit at de Montille’s garden, Ted’s friends decided on a restaurant for dinner in Beaune, the nearby, perfectly preserved and walled-in medieval city at the center of Burgundy’s Côte de Beaune. We rolled down its one-lane cobblestone streets between ancient buildings with storybook gables and spires until we came to a modernized town center. It was full of squat two-story houses with old wooden shutters on their second floors above sleek, glass front pharmacies and cafés at street level. La Dilletante is a cozy little establishment with a façade of thirty-three small rectangular windows with wooden panes. Inside, there is an entire wall of upright bottles: a colorful three-dimensional wine list to choose from. The owner, Laurent, is a bearded bear of a man, a jolly Bluto with rosy cheeks who greeted us with a shout. Once a popular maître d’ at another restaurant in town, he brought throngs of his following along to his own successful venture. A jambon à los (cured pork leg) sat poised for slicing on a shiny steel cutter in the tiny open kitchen toward the back. The owner’s wife, Rika, attended to the countertops and stove and chatted with customers on the other side of a low glass divider as she filled orders for things like their croque monsieur, a specialty of the house. I had one, and with its crunchy and buttery toast, melty cheese and savory ham, it was the epitome of decadent comfort food. One of those things where when I was devouring it I could have sworn it was the best thing I’d ever eaten. (Not the last time I would think this on the trip). 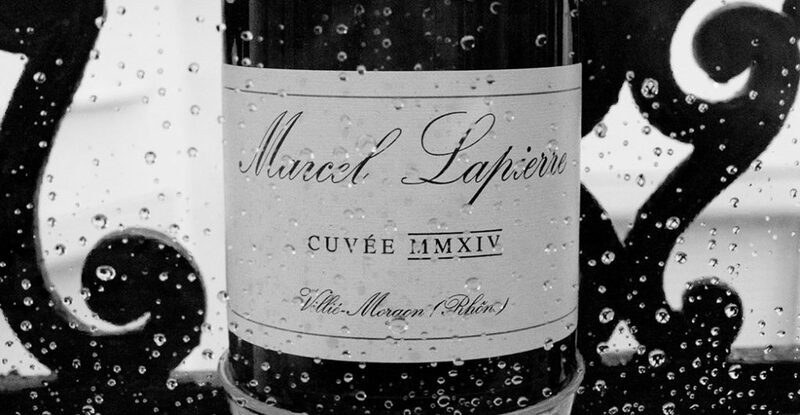 The guys debated the selection of the first bottle at the wine wall and Ted voted for a Beaujolais, the 2014 Marcel Lapierre Morgon Cuvée MMXIV. Ted said, “I’ve had enough mouse for the day and I need a guarantee if we are going to pay for the bottle.” They brought it and three others to our table and of course would soon ask the server to bring more. Debates and agreements commenced about which were the best producers and which ones tried their best but continuously missed the mark. Discussion of the worst bottles somehow (yet naturally) led to mention of Donald Trump’s recent victory. The ex-patriots were mortified for their country and countrymen, and reinforced in the choices that took them away from their home states. Whenever anyone over there mentioned the subject, I felt inclined to groan and say, I didn’t vote for him! In truth, this seemed somehow implicit by my presence there as an observer and chronicler of high culture. I may be making a leap in thinking his base wouldn’t be in France on a journey through wine country, but I’d prefer to think of it as an educated guess. And then, as if on cue, another bottle was popped and there it was: the dreaded mouse, a literal stink to overlay the running conversation. Everyone thought back to Ted’s first choice and remarked on the Morgon, the hit of the night, and perhaps one of the greatest modern day Beaujolais wines to be put to bottle. It was a memory of a recent and better time, which somehow reminded me of the comparatively halcyon days of Obama. To rid our palettes of mice and Small Hands, we ordered some of La Dilletante’s famous, rich and fluffy chocolate mousse. It was a sweet and slightly bitter cocoa mouth cloud, and immediately blew the stench from the air. 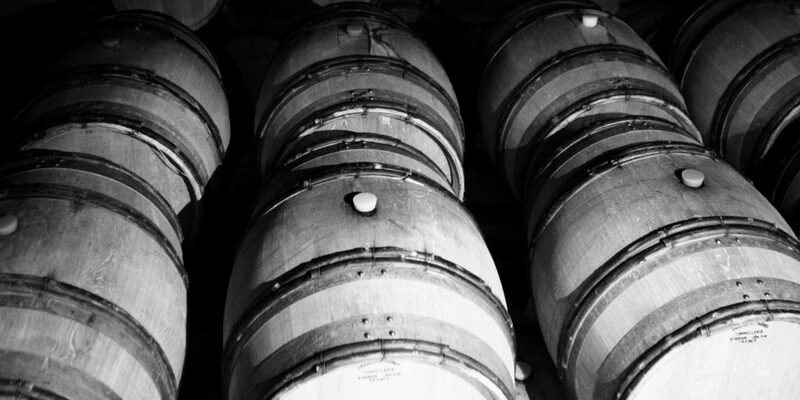 Ted chatted with a young woman who worked for Kermit Lynch, one of the best-known American importers in France and the states. A wine she and Ted both liked was only exporting to the east coast, which they both found curious. The conversation zigged to the common occurrence of “books” (portfolios of producers that importers carry) moving around and seeing this for what it was, a strange and mercurial practice. I was eavesdropping on importer shoptalk and doing my best to keep up. The gang started to joke about moving on to a nearby bar to close it down, a place notorious for things taking a left turn as the night approached dawn. Beaune is a small town, with only about twenty thousand residents, the kind of place where everyone always sees the same people at the regular haunts. The joint in question apparently offers copious amounts of revolving coupling. But few in the group were single, and thankfully, no one seemed up to the task——least of all me and my jet-lagged brain. The group broke apart out on the street with everyone promising to see each other sooner rather than later. Ted, Andrea and I went back to the Airbnb, where I fell into a fitful sleep, snoring the grind of a garbage disposal the entire night (according to reports the next morning). I’m not a great sleeper to begin with, but I don’t usually do this, and wondered if it had something to do with the earache and the antibiotics I was on. The label read, “Do not drink alcohol while taking this medication.” As if that would be possible on this particular trip.